To investigate whether patients with a history of recurrent pregnancy loss (RPL) have an increased risk for future female malignancies. A retrospective population-based study compared the incidence of long-term female malignancies in a cohort of women with and without a history of RPL (2 or more consecutive pregnancy losses). Deliveries occurred between the years 1988 and 2013, with a mean follow-up duration of 12 years. Women with known malignancies before the index pregnancy were excluded from the analysis. Female malignancies were divided according to specific type including ovary, breast, uterine and uterine cervix. Kaplan–Meier survival curve was used to estimate the cumulative incidence of malignancies. Cox proportional hazards model was used to determine the adjusted hazard ratios (HR) for female malignancy after controlling for confounders. During the study period, 106,265 patients met the inclusion criteria; 6.6% (n = 7052) of patients had a diagnosis of RPL. During the follow-up period, patients with RPL had a significantly increased risk of being diagnosed with female malignancies as a group, while individually there was an increased risk of breast and uterine cervix cancer. Using a Kaplan–Meier survival curve, patients with a history of RPL had a significantly higher cumulative incidence of female malignancies. Using a Cox proportional hazards model, adjusted for confounders such as smoking, parity, and diabetes mellitus, a history of RPL remained independently associated with female malignancies (adjusted HR 1.4; P = 0.003). RPL is independently associated with long-term female malignancies. Patients with a history of RPL may benefit from counseling and screening for breast and uterine cervix cancer in particular. 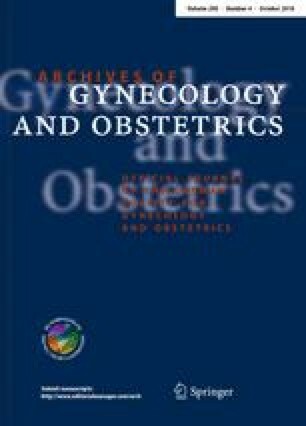 The article was presented in part at the SMFM 36th annual pregnancy meeting, February 2016, Atlanta, USA. RC manuscript writing, protocol development, project administration. ES protocol development, manuscript editing. OB manuscript editing, project administration. RS data analysis. RK protocol development, manuscript editing. No humans involved in this article. Local exc. breast lesion + reg. lymph node exc. Local exc. breast lesion + rad. cervical node exc. Quadrant resect. breast + rad. cervical node exc. Quadrant resect. breast regional lymph node exc.